As I am on this site answering two private messages I thought I would mention that my book Fuelling the Wars - PLUTO and the Secret Pipeline Network 1936 - 2015 is now published and available through Amazon, Waterstones as well as through the publisher. ISBN: 978 0 9928554 6 8. Unknown to many, a network of petroleum pipelines transport fuel from refineries and terminals to major airports, airfields, and distribution depots. The largest of these pipeline networks has its origins as far back as the Second World War and is one of the few remnants, still operational, of the vast infrastructure that was built to fight that war. In 1936 the RAF was inadequately equipped with mainly obsolete and obsolescent aircraft and its total fuel reserves amounted to just 8,000 tons. At peak war time consumption they would have only lasted one day. The RAF planned for many squadrons of Hurricanes and Spitfires, but these fighters would need fuel, which would require storage facilities that could withstand aerial bombardment. A programme for the construction of a large number of protected storage depots was therefore started with the first of these facilities coming on line in 1939. The outcome of the battle of Britain could have been very different without them. In total the Air Ministry constructed 78 new storage depots with a total capacity of over 1.6 million tons. Supply and distribution was initially by rail, coastal tankers, barges and road, but in 1941 the decision was taken to construct a pipeline network to transport fuel from the west coast ports eastwards and southwards. Possibly the best known part of the network are the PLUTO cross channel pipelines. However, they were not as successful as popularly imagined, and the battle of Normandy was won without a drop of fuel being delivered by PLUTO. Immediately after the war most of the government system was decommissioned, but the ‘Cold War’ led to its reuse. In the 1950s new import facilities, civil storage depots (including large scale fuel reserves located in salt cavities) and pipelines were constructed. Increasing amounts of commercial fuel was also carried, with the system supplying fuel to both Heathrow and Gatwick airports. During the 1970s and 80s virtually all depots not connected by pipeline were sold-off, hired out to commercial companies, or mothballed. In the 1990s and 2000s, following the end of Cold War, many more depots and some pipelines were closed. The use of the network for commercial aviation fuel, however, increased with both Stansted and Manchester Airports, and a new aviation fuel import facility being connected to the system. This pipeline network and storage system has constantly adapted, evolved and transformed itself. Pipelines have been reversed, pump-stations closed and new ones opened to meet constantly changing requirements. This book sets out to chart how the system came to be built, its history and its continuing importance. Tim Whittle is a Chartered Engineer, now retired, with over forty years engineering experience; of which more than thirty were spent working on pipelines and over twenty years on the Government Pipeline and Storage System (GPSS). During that time he developed a strong interest in the history of the network and came to be the acknowledged expert on its history. He has had several papers and articles published related to the history and operation of the GPSS and has twice won the Ardley Prize for papers published. He has also given several talks on the history of the system to various organisations including to the Institution of Engineering and Technology, the Institute of Measurement and Control, and Subterranean Britannia; and appeared on the Radio 4 programme Making History talking about the PLUTO cross-channel pipelines. It was the realisation as to how few people recognised that it was the GPSS and not the PLUTO pipelines that were vital to the success of the Normandy invasion that encouraged him to write this history, which he has extensively researched for the past decade. "Although I left the site some time back I will reply to any posts on this thread." Congratulations in any case for your new published book. The end date given above (1945) differs from that given by the publisher (2015). I was wondering what the reason was for this and if perhaps there had even been other options discussed between yourselves, say, 1991 (i.e. the end of the Cold War). Thanks for pointing that out. The reason is my mistake which thanks to your prompting I have corrected. The first 5 chapters cover up to 1945 while the last 6 chapters cover from 1945 to 2015 which was when the GPSS was sold. On wikipedia and elsewhere I found reference to the wartime pipelines having been built only at night. I do not know where this idea came from but it is false and I have corrected the wiki entry and have tried to correct elsewhere as well. 1. My book includes a photo of a wartime pipeline going in and it is clearly in daylight. 2. At a talk I gave recently on the wartime system, there was actually someone present who could remember being one of the pipelines being constructed in daylight. 3. At whatever time one constructs a pipeline, it will be visible from the air in an aerial photo due to sil disturbance. 4. Constructing a pipeline at night would have been quite difficult and due to the restrictions on hours of working, especially during the Summer months, would have significantly delayed progress. 5. the first pipeline was not constructed until the spring/summer of 1941 and that was in the SW of England. The RAF had daylight air superiority at that time and German air raids, which reduced after the attack on the USSR, were mainly confined to nighttime. 6. Even in daylight, trying to hit a pipeline with a standard bomber would have been extremely difficult, especially as they were buried 1 to 1 1/2 metres deep. 7. The pipeline being constructed could have been for a number of purposes and I am sure that locals were advised according when construction happened. You will probably realise that I am definitely not a civil engineer but what you say above makes a lot of sense. I mean, if the pipelines had been built at night there would have had to be some means of illumination so the folk constructing the pipelines could see what they were doing which lights would have been very obvious at night (including to enemy aircraft). I do refer to Wikipedia sometimes because it is so convenient but it's only as good as the people who contribute to it. I could type something on this subject into Wikipedia but my content would be the most awful piffle (worry not, I'm not intending to wax lyrical on the pipelines). Not that anyone was building petroleum pipelines in the back gardens round here but the house I live in is part of a 1930s ribbon development (the field it used to back on to has long been built on however). Although I was born a few years after Hitler gave up I remember one house in the row having a high wall which covered the kitchen window (may have covered the bathroom window as well, bathroom being above window) - that was part of the 'black out' policy and somebody told me that at one time all the houses in the row had such walls outside the kitchen though most people knocked them down after the ceasing of hostilities. I'm always interested to learn something of the history of subjects which are outside my spectrum (whatever that is), so thanks for the information about the pipelines - and your revelation of how you had to step in to correct some inaccuracies reminds me how important it is to check more than one source about matters (well especially if one of those sources is Wikipedia - though as I say I do use it because it's convenient and it's free). Thank you for your response L in R.
Some people have ended up with oil pipelines in their back garden. This was normally because the houses were built after the pipeline and, providing the building was 10 feet clear of the pipeline, there was not a lot we could do to stop it. However, it was not something we liked as, if the pipeline needed to be repaired, bringing in a JCB and digging up their prize roses did not make for being very popular. Ha, ha. Thanks for the nugget about digging up the roses - I can imagine it didn't make for being popular! From chapter 1 of my book for anyone who is interested. The government had in 1919 decided on the ‘ten year rule’, that a major war could not possibly occur for at least ten years and therefore preparations for such a war did not need currently to be undertaken. This rule was not abandoned until 1932. As a result of the ‘ten year rule’, as well as the RAF being inadequately equipped with mainly obsolete and obsolescent aircraft, only very limited stocks of aviation gasoline were held at a relatively few RAF stations. In addition the only reserves available were those held by the oil companies as a condition of Air Ministry contracts for the supply and distribution of fuel to the RAF. These reserves amounted to about 8,000 tons and even then this was were estimated to represent only ten days war consumption. It is not clear what the government expected to happen once those ‘ten days’ of reserves were exhausted. In fact war time consumption of aviation spirits was to peak at about 8,000 tons per day so the total reserves up to 1936 would in fact have only been enough for one day of war! It was in 1936 that the first test flight of the Spitfire took place and now the RAF planned for large number of squadrons of Hurricanes and Spitfires. However, these fighters would need fuel which would require storage facilities. Unlike in World War One that storage would need to be protected against aerial bombardment. In 1936 the vast majority of petroleum storage depots belonging to both the navy and to the oil companies consisted of unprotected and densely packed above ground storage tanks. By comparison with the very limited RAF storage, by 1936 the Royal Navy had, world wide, three million tons of storage tanks located, not surprisingly, at or near ports. Most commercial storage space was also held at ports in large above ground cylindrical tanks, which were typically sited close to conspicuous landmarks and made easy targets for air attack. About a third of the country’s civil oil storage was situated along the Thames Estuary. In July 1936 the Air Raid Precautions Department of the Home Office concluded that ‘it is perfectly plain that if a determined attack was made on these installations nothing could save them’. It also concluded that similar petroleum storage facilities on the Humber and along Southampton Water were equally vulnerable. The RAF had always held to the doctrine that ‘the bomber will always get through’. However, in 1935 a scientist, Watson Watt, had undermined that doctrine by developing a device, later known as radar, which could detect aircraft at a distance. This would allow fighter planes sufficient time to take of and intercept bombers. That Britain in 1940 was to have enough fighters to defeat the Luftwaffe in the Battle of Britain was, however, largely fortuitous. In 1937 the Air Ministry insisted that the ratio of fighters built to bombers should be increased, overriding the wishes of the heads of the RAF who wished to concentrate on bombers. This was despite the types of bombers then being built for the RAF being totally unsuitable for carrying out a strategic air offensive against Germany. The reason for the Air Ministry’s decision was, however, not because of any greater strategic insight than the RAF chiefs, but purely because fighters were cheaper to build. In February 1936 the Oil Board set up a subsidiary, the Petroleum Products Reserves Sub-Committee, to consider the need for fuel stocks for war and how they should be protected. On 7th March 1936, Adolf Hitler sent a small German force to reoccupy the German Rhineland with orders to withdraw if there were any opposition. There was none from the French army which was materially and psychologically equipped only for defence. In July of the same year, civil war broke out in Spain when General Franco tried to overthrow the Republican government. There was concern that this civil war could spread throughout Europe. In the same month the Air Council, with the approval of the Oil Board, decided to build protected petroleum storage facilities with a capacity of 90,000 tons. This was at the time estimated to be sufficient for three months of war and was to be carried out through the expansion of storage facilities on existing petroleum company commercial sites. One month later the Committee of Imperial Defence advised all the Service Departments to build up reserves such that they had sufficient fuel stocks for six months of war with Germany. As a result the Air Ministry requirement was increased to 290,000 tons based on a daily consumption of 1,600 tons per day. This obligation, when met, would amount to a 3,600 per cent increase in stocks from the actual position in 1936.
thank you very much for this message. Yes an army has to have save supplies and in quantities enough to support its engagements. I followed in the beginning of 2017 an interesting discussion on a French history board. It was about the supply of Rommel in North Africa. Thank you for reply Paul. When I gives talks on the pipeline and storage system I do comment that pipelines and fuel tanks are not as interesting as aircraft and tanks. However, with fuel planes do not fly and tanks do not move. I believe that during the battle of France 1940 that one of the few French armoured divisions was destroyed because it ran out of fuel. Arguably the two greatest errors committed by the axis powers - Germany's drive for Stalingrad and the Caucasus and Japan's attack on Pearl Harbour - were motivated by concerns about fuel supplies. On 1st September 1939, even before war had been declared, the government took control of the four railway companies forming them into one organisation. At midnight on the 3rd/4th September, following the declaration of war and as already planned, the Petroleum Board came into existence. Around 18,500 staff previously working for the oil companies all became employees of the board. Each petrol station, depot or office, became a Petroleum Board establishment. Every road tanker, barge or rail tanker wagon; whether formerly Shell Mex- and BP, National Benzole, Anglo-American Oil, Trinidad Leaseholds or any other of the many companies, came under the Petroleum Board. All the different grades of gasoline were done away with and there was henceforth to be only one ‘pool’ grade of petrol. It was decided, however, that it would be impossible to standardise all the different variants of lubricating oils. The management of the Petroleum Board was set up at Shell-Mex House in London and the Board was given a monopoly of supply in the United Kingdom. An eleven member board was set up with three members each from Shell- Mex & BP Ltd. and the Anglo-American Oil Company; one member from the National Benzole Company, Trinidad Leaseholds Ltd. and the Texas Oil Company; one member represented the smaller ‘independent’ oil companies, and lastly the Chairman of the separate Lubricating Oil Pool. The teleprinter network with its control centre at Shell-Mex House allowed communication to regional offices, depots and refineries. The system could handle up to 5,000 messages a day, which, although minuscule by today’s standards, was very impressive in 1939. Three months before the start of the war, a duplicate set of terminations for teleprinters had been set up in a bomb-proof room. On 2nd September all the teleprinters were unplugged and moved to the new secure location. In addition, alternative routing was put in for telephone lines with some going via the Embankment and some via the Strand. Duplicate teleprinters and telephones were also placed in the Shell-Mex House air raid shelters so that an emergency service could be run from there. Similar arrangements were made in sites around the country. A teleprinter is an electromechanical device by which a typed message can be sent by a variety of communications networks from one location to one or a multiple of remote locations. The message automatically appears on a teleprinter at the designated remote location(s). Yes Tim, the supply of the strong fuel consuming BI tank was a problem and the French did the supply by train, if I recall it well, and due to the unforeseen rapid movements of the German army and the nearly collaps of the railway system, the French were nearly always too late. And thanks again Tim for this new message. the German tanks also carried devices to enable them to extract petrol from the tanks in French Petrol stations. During 1940, when Britain was under threat of invasion, the British went to great lengths to try to ensure that, if the Germans did invade, they would find it very difficult to obtain captured fuel. About one in ten people possessed a car at the start of the war and anyone who possessed a car could register for the basic petrol ration, which gave an allowance of approximately 1,800 miles per year. Further to that a driver could register for classification as either ‘semi-essential’ (4,800 miles) or ‘essential’ (9,000 miles). Drivers running large engined cars with high petrol consumption were not discriminated against, except in terms of the cost of a gallon of petrol. Pool petrol initially cost 1s 6d a gallon, later rising to 1s 8d and eventually 2s 2 1/2d; by comparison petrol on the black market cost around 6s 6d. [1s 6d a gallon equates to 7.5p per gallon or 1.5p per litre. 6s 6d equates to 32.5p per gallon or 7.5p a litre.] The intention of the Petroleum Department was that consumption by civilian car drivers should be reduced by at least two-thirds to allow for the expected increase in military consumption and losses caused by enemy action. In addition to the cuts in domestic motoring, there were also significant cuts in public transport. For example 800 central London buses were withdrawn from services at the start of the war and fuel supplies to London Transport were cut by a quarter. Railway services were also cut, although this was in part because of the call up of men into the armed forces which led to 100,000 men leaving the railways. "the German tanks also carried devices to enable them to extract petrol from the tanks in French Petrol stations. During 1940, when Britain was under threat of invasion, the British went to great lengths to try to ensure that, if the Germans did invade, they would find it very difficult to obtain captured fuel." That's interesting, above their jerrycans they had also that opportunity. Lucky that the Brits had foreseen that too. "Railway services were also cut, although this was in part because of the call up of men into the armed forces which led to 100,000 men leaving the railways." The same I read in France, leading to shortages in people in the armement industry, which was in my eyes nevertheless necessary for the war preparation. Or were they not expecting a war? Thanks for posting that Triceratops. In preparing for a possible war, it was decided not to increase the capacity for home refining. * It is sometimes thought that there were no refineries in Britain before the war, but in fact this is not correct. ** In 1938 slightly more than one fifth of the UK’s total requirement for refined oil products came from home refineries. The Anglo-Iranian Oil Company (now BP) had opened two refineries in the 1920s, one at Grangemouth on the Forth in Scotland and one at Llandarcy near Swansea in Wales. In 1927 Standard Oil (now Esso) had opened a refinery at Fawley near Southampton and Shell had also built three refineries during the 1920s. These were located at Shell Haven*** on the Thames estuary, Stanlow on Merseyside and Ardrossanon on the west coast of Scotland. There was in addition a small independent refinery at Ellesmere Port on Merseyside. There were two reasons why it was decided that it was not in the Britain’s interest to increase its refinery capacity. Firstly refineries were considered to be vulnerable to air attack and secondly about fifteen per cent of the crude oil was ‘lost’ in the course of the refining process. This meant that it took more tanker space to transport crude than refined oil. It was expected that in a war Britain would be short of tanker space. An advantage to the oil companies in siting a refinery in an oil producing country was generally lower labour costs. The one exception to this was with regard to high octane fuels. Motor vehicle engines generally used gasoline with an octane rating of up to 76 but most of the RAF engines used 87 octane fuel. Tetraethyl lead**** could raise the octane rating to 87 as could the addition of a hydrocarbon known as isooctane. However, the Rolls Royce Merlin engine of the Spitfires and Hurricanes being introduced by the RAF required a 100 octane rated fuel if they were to reach their maximum performance. 100 octane rated fuel could not at this time be achieved through the addition of tetraethyl lead. It could be produced, however, through the use of isooctane, but supplies of it were limited. In December 1938 the Hartley Committee***** proposed that three new plants should be built to manufacture isooctane together with a high octane ‘base’ petrol to produce 720,000 tons per year of 100 octane rated aviation fuel. One of these plants was to be built at Heysham on the Lancashire coast while the other two were to be built in Trinidad. Work on the Heysham plant commenced in 1939 but would not be operational until 1941. It would also rely on a method, then unproven in bulk production, to manufacture the isooctane. ** When the super-tanker the Torrey Canyon ran aground in 1967, the RAF and Fleet Air Arm had great difficulty in setting the leaking fuel alight when they bombed it. The reason given on the news was because of it carrying crude oil compared to tankers during the war that had always carried refined oil and so had burned easily when hit. *** The name Shell Haven (also referred to as Shellhaven) predates the building of the Shell refinery; it was mentioned as early as 1667 in Samuel Pepys’ Diary. **** Tetraethyl Lead is a highly toxic chemical formally used in petrol but now only used to increase the octane rating in aviation gasoline. ***** The chairman of the committee Sir Harold Hartley F.R.S of the Fuel Research Board. ****** A co-operative of British benzole producers set up in 1922. Benzole was a coal tar product consisting mainly of benzene and toluene which was mixed 50% Benzole 50% gasoline for use as a motor fuel. I suspect that it was different parts of the Civil Service failing to liaise. I would add Tricep that the title 'Fuel for the Few' is questionable for, as I state in my book, the refinery was not operational untiil 1941. One of the lessons of the German blitzkrieg on France and the Benelux countries was how panzer divisions had been able to keep moving using captured fuel. The government immediately looked into what needed to be done to prevent this happening if the Germans were to invade. There had been increased deliveries of fuel since the fall of France and the newly built hardened storage sites in the west of the country were already full of fuel. As a result it was not immediately possible to transport fuel from the east coast, where there was a risk of it being captured during an invasion, to the west. Instead it was decided to defend refineries and main storage sites in the south and east with anti-aircraft guns and ground forces. However, around 17,000 petrol stations and other commercial storage sites were emptied and closed down. It was agreed that the local commanders could decide if local stocks should be destroyed; but that only the Commander-in-Chief, Home Forces, could order the destruction of stocks at major depots. Ways and means of preventing the invading Germans from capturing the fuel in the petrol stations that remained in the south east coastal area were being looked at even before the French surrendered. Unfortunately, and contrary to popular opinion, one cannot use either sugar or sand to contaminate petrol stored in bulk. The contaminants will just settle to the bottom and the fuel, apart from the dregs, will be suitable for use. One possibility was to use fuel oil as a contaminant but in practice this proved to be unsuitable for various reasons. The idea of deliberately contaminating fuel was therefore abandoned and instead work was concentrated on ensuring that the petrol pumps were disabled. Tim, thank you so much for this article again. Thank you for your response Paul, I am afraid though that Belgium does not now figure in my book until after D-Day in connection with the cross channel PLUTO pipelines. A swing arm is a pipe by which product is removed from a storage tank. A manway is a means by which it is possible to enter a tank. They are normally located on the tops and sides of a tank. Tim thank you for this story I read it with great interest. None of the schemes designed to reduce the effects of air attack on the means of storing and transporting petroleum had been completed by the time the Luftwaffe commenced their air attacks on Britain. By December 1940 200,000 tons of commercial above-ground and 118,000 tons of Admiralty tankage had been destroyed as a result of bombing. By July 1941 the total Admiralty and commercial storage lost was 500,000 tons out of a total of 10 million tons of all types of storage. According to the official history the air force and army suffered no loss of storage tanks at all. In total only two semi-buried tanks were destroyed as a result of being hit by bombs, one at Poole in Dorset and one at Falmouth, Swanvale in Cornwall, illustrating the value of protected storage tanks. In fact bombing attacks had less impact on the petroleum industry than had been expected, for example none of the refineries suffered serious damage. The tank at Poole was hit during the night of 4th June 1942 during a raid carried out by two enemy bombers. It was struck by a 500 kilogram bomb at the entrance chamber where the pipelines entered and exited the tank.The explosion blew off half of the concrete roof, demolished the side of the tank and the tank tunnel. Several columns supporting the roof collapsed and the tank floor was severely damaged. Despite the explosion there was no fire and some of the fuel, which spread out over a wide area within the bund, was recovered. None of the adjacent tanks were damaged and they continued in operation. The Poole depot was later transferred to the Ministry of Power, but at the time of the raid was an Air Ministry site and so the official history was not entirely correct in stating that the air force suffered no loss of tankage during the War. The tank at Falmouth, however, was on a civil storage depot. It was hit during the very last major air attack on Britain, which occurred on the night of 30th/31st May 1944. A direct hit on the tank containing around 4,000 tons (5,000,000 litres) of gasoline led to a fire that continued to burn for twenty-two hours. The tank was hit around midnight and fractured, leading to a stream of burning gasoline six feet wide flowing towards the village of Swanvale. Flames coming out of the tank reached seventy feet in the air and attempts by fire fighters failed to put them out. Two American servicemen volunteered to drive bulldozers to dam the stream of flaming product. They were later to be awarded the British Empire medal. Altogether 28 pumps, 200 fire firemen and 500 American servicemen, waiting to take part in the Normandy invasion, took part in fighting the fire. The same raid saw a 1,000 kilogram bomb hit one of the air ministry depots landing close to a C2 tank and blowing some of the earth covering off the tank. The tank itself appeared undamaged, but detailed examination, after the tank was emptied, showed that the top shell plates, closest to the explosion, had buckled in. The plates had, however, continued to prevent the loss of most of the fuel and less than one cubic metre was not recovered. A tank tunnel is the means of access to the tank side. Tank tunnels were normally built with emergency escape ladders to the top of the tank. The adjacent tanks at Falmouth suffered no damage as a result of the fire and explosion and remained in operation until the site was closed down in the 1970s. The explosion took the roof off the tank that was hit, but until it was demolished in the 1980s it was still possible to go into it through the tank entrance. Some of the metal lining of the tank had peeled back due to the explosion. Report on Damage to Petroleum Storage Tank, Air Ministry Reserve Supply, Poole – 23rd September 1942. The BBC’s people’s war project which allowed people to record their own memories of events during the war. Just to add Paul, thank you for your continued interest in this thread. I am having problems with my computer with is having some effect on posting. I haven't got round to buying your book yet, Tim. (I had a bit of a shock when the letter from the bank saying how much I owe this month on the credit card came through - I've most used it when I've dialled for a gluten free pizza - so I'm liked "Have I really had that many pizzas? Yes I have). But I will. Thanks for your response LinR, I am currently having to switch between 2 computers due to computer problems and this one does not have my book on it but will post another snippet later. "In fact bombing attacks had less impact on the petroleum industry than had been expected, for example none of the refineries suffered serious damage. " Why focused the Germans not more on the refineries, because without refineries no petrol? Or were these refineries not as easy to destroy as these petroleum "dépôts"? And thanks again for another interesting story. Some of the refineries were outside the range for German fighters and so could only be bombed at night and bombers lacked the accuracy that USAF bombers had in 1944 to target the refineries (they had air superiority and could attack during daylight). Also most fuel for the UK was brought in already refined as there was a constant shortage of tankers and if a 12,000 ton tanker carried crude oil then some of it would be lost in the refining process and so it was more efficient o carry refined oil. There were serious concerns about essential users being wasteful in their use of fuel. The army in Britain, for example, was using four times more petrol in the spring of 1941 than a year earlier. In part at least this was due to the increase in the size of the army and its enhanced motorisation, but it was still felt that it was making insufficient effort to control consumption and a ten percent cut was imposed. It was still decided not to cut the basic ration, but various supplementary allowances for motorists were cut instead, causing widespread public anger. The trouble was the government could not advise the public about the fuel shortage without also advising the Germans. There were also large cuts in the level of supply of paraffin to dealers, and measures were taken to increase the amount of home produced fuel, such as using creosote-pitch as a furnace fuel. A cut was eventually made in the basic petrol ration in November 1941. From June onwards, however, stock started to recover as fuel was again landed in substantial amounts at the south and east coast ports and the rate of unloading through the west coast ports increased substantially; due to the changes referred to earlier. The German attack on the Soviet Union on 22nd June 1941 meant that the majority of the Luftwaffe were now operating in the east rather than against Britain. The rate of tanker loss had started to fall dramatically due to a number of factors. These included the occupation of Iceland and the Faroes, greater air cover for convoys, increased numbers of escorts, technical improvements in anti-submarine warfare, and work at Bletchley Park on the Enigma code. 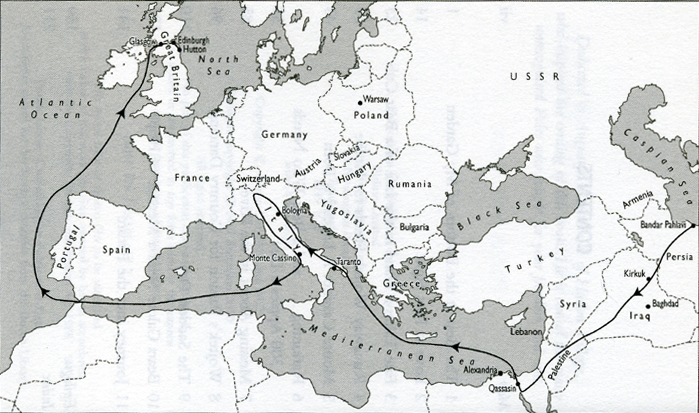 With the success rate for the U-boats dropping, the decision was made by Hitler to transfer a number of U-boats to the Mediterranean; the British Crusader offensive towards Tobruk was causing concern. Hitler was also worried that the British might try to invade Norway and ordered U-boats to be deployed to defend its coast. Imports of petroleum, in the six month period from June 1941, were to average nearly 300,000 tons per week, more than at any time before or during the war. As petroleum imports into Britain in 1941 increased, the urgency for fuel oil to be discharged and transported as fast as possible to storage depots and in particular to the protected storage depots grew. With little or no scope for expanding rail or road transportation, the obvious way to improve the rate at which petroleum products could be transferred from the west coast ports to the east was to build a pipeline. There were three proposed white oil pipelines: from the Clyde to the Forth; from the Mersey to the Humber; and from Avonmouth to the Thames. The newly formed Storage and Development Sub-Committee turned down the first two proposals but approved the third. The Oil Control Board gave the go ahead for the project in April 1941, and in June 1941 work started. The pipeline, designated the A/T (Avonmouth to Thames) was just over 100 miles long and was completed by November 1941. It connected a group of new protected storage facilities being built in the Avonmouth area with another new protected storage facility being built at Walton-on-Thames to the west of London. From Walton-on-Thames motor spirits could then be distributed by road tanker and barge throughout the London area. Four principal petroleum lighterage companies formed the Walton Committee to organise the delivery and distribution of motor spirit by barge from Walton. In keeping with the high security attached to the pipeline, it was decided to identify the route of the pipeline utilising stiles, which would more readily blend with the countryside than marker posts. Unfortunately, a line of newly painted stiles led to members of the public assuming that these stiles must indicate a footpath through what was, in many cases, private land. Following complaints from landowners, this caused a notice to be placed on the styles declaring that ‘This is not a public footpath’. One can well imagine the perplexity of members of the public as to why a series of stiles should have been installed on what was declared to be ‘not a public footpath’. Lighterage refers to a tug towing a number of barges. A.L.Adams – The Development of the Department of Energy’s Oil Pipelines and Storages. 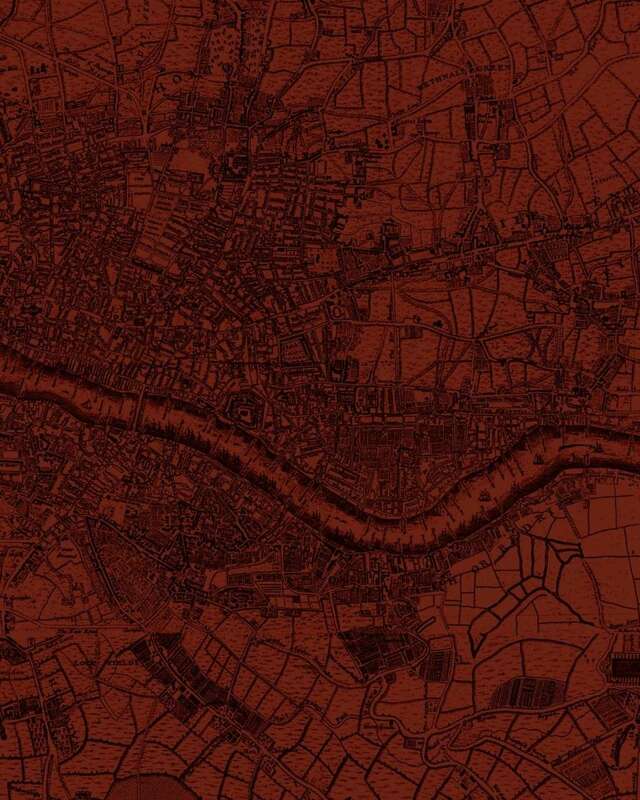 L.M.Bates: The Thames on Fire p18. "There were also large cuts in the level of supply of paraffin to dealers, and measures were taken to increase the amount of home produced fuel, such as using creosote-pitch as a furnace fuel." Thanks again for this fascinating story and kind regards from Paul. Interesting article about that first pipeline too, Tim. Thanks Paul and sorry for the delay in responding. The one source, as you noted was entirely concerned with pipelines in the USA, I could not find anything about pipelines in the other too. I was in Malmesbury earlier this year but am afraid that I missed the Athelstan museum. In order to keep the pipelines clean, a metal rod with circular wire brushes and rubber washers was inserted into the pipeline at one storage depot or pump-station and then removed, together with any accumulated dirt, at the next. In a Pathe News film of the pipeline system, the device was described as ‘the housewife’s dream of a perfect flue cleaner’. These cleaning devices were initially to be referred to as ‘Go-Devils’ but were later called ‘Cleaning Pigs’. Afterwards, other devices that were to be inserted in the pipelines, for purposes such as inspecting the pipelines, were also referred to as ‘Pigs’. A three letter acronym of ‘Pipeline Internal Gauge’ has since been made up to justify the use of the term ‘Pig’. To move the products, as well as the ‘pigs’, electric pumps were installed at both the storage depot and at intermediate pump-stations. The number of intermediate pump-stations on a pipeline varied depending on the topography and the required throughput. The A/T pipeline had four intermediate pump-stations, but this was higher than normal and meant that it could operate at a higher flow-rate than other later pipelines of 180,000 tons per month (t.p.m). The pump-stations were located, as far as possible, in areas with a low risk of being bombed. The types of pumps used varied, depending on the duty for which they were used. This could be, for example, for pumping from tankage or boosting the line pressure. The pumps used were mainly centrifugal but a few were reciprocating. The lack of 11KV supplies in many rural areas meant that the pipeline pumps were often fitted with 415V rather than 3.3KV motors. The starters for the motors, which had to be flameproof, were of an oil immersion type, which were both expensive and cumbersome. The storage depots were provided with diesel alternators or generators in case the site experienced power cuts. The lighting of the storage depots and pump-stations was quite inefficient due both to the nature of the lights and the need for them to be protected with flameproof bulkhead fittings. Instrumentation was limited to bourdon type pressure gauges , voltmeters and ammeters. Sites were locally controlled, although there was a telephone and telex network to keep them in contact with each other and Shell-Mex House. Pumps, lacking condition monitoring, had to be constantly observed when operational. It has been suggested that the name ‘pig’ originated from the ‘squealing’ noise that the devices used to make when traversing a pipeline. A centrifugal pump has a series of impellors each in turn building up the fluid pressure until the product is exported into the pump delivery pipeline. A reciprocating pump uses reciprocating pistons working in cylinders to push the product through the pipeline. Flameproof is the name for a method of ensuring that electrical equipment such as motors and lights do not cause an explosion in an explosive atmosphere such as would occur on a facility handling and storing petroleum products. In the United States this type of protection is referred to as ‘explosion proof’. A diesel alternator or generator is a diesel engine used to generate electricity. A Bourdon tube is a flattened tube shaped into a C or a helix. As the pressure increases the tube tries to straighten out which can be used via a dial to measure the pressure. The bourdon tube was first patented by Eugene Bourdon in 1849, but is still in widespread use. Condition monitoring is a system of temperature and vibration monitoring applied to modern pumps to monitor them for operational problems that could manifest themselves prior to the pump actually breaking down. ... the term "pig" is still in regular and formal usage in the oil industy: a pig being any remote probe sent down the pipeline, to clean, survey or locate blockages etc. Actually I think it is not so much from the 'squealing' as from the porcine 'grunting' sound they make as they traverse the pipe. You might think that is just mere semantics: a grunt, a squeal, whatever ... but I have it on good authority from a petroleum engineer, at the time working on a pipeline in Alaska, who said that once when they sent a cleaning "pig" down the line, and he was stationed at a pipeline-valve ready to recover the said object, he could hear the thing coming along the pipeline, well before its arrival, because of it's deep, reverberating, pig-like grunts. As the grunts got ever closer he duly prepared to catch it as it exited via the diversionary gate. But then, instead of just the metal/rubber "pig" emerging ... first a grumpy grizzly bear came charging out of the pipe, grunting very much like a pig, followed by the probe itself that had dislodged the bear from his comfy winter quarters. Faced with a disgruntled grizzly he legged it ... and only returned to recover the mechanical 'pig' once the bear had found another quieter place to sleep out the remainder of his hibernation. Tim thanks again for another contribution.
" A centrifugal pump has a series of impellors each in turn building up the fluid pressure until the product is exported into the pump delivery pipeline. A reciprocating pump uses reciprocating pistons working in cylinders to push the product through the pipeline." Have you heard about that phenomenon in the pipeline system? concerning the Bear, I have never been to Alaska let alone on Alaskan pipelines but a bear could only sleep in a pipe if it was open and empty and one wonders what then would happen to the pipeline product. GPSS pipelines have pig launchers and pig traps on them, neither of which would allow a bear to access them. I did once pursued a temp secretary when she asked what an 'intelligent pig' was that we used specially trained pigs that went down the pipeline and squeaked when they found it was corroded. I am afraid that my expertise, such as it was, was concerning computer control systems, pipeline instrumentation and also concerning the writing of safety reports for storage depots - not pumps. Tim, when I was "temping" (as a secretary) I had an otherwise nice boss who gave me some shorthand dictation and said "And now we come to the penultimate paragraph...that means the last but one paragraph" and I had to bite my tongue not to say "Is it really, I'd NEVER have known that". That said, I have known some dozy secretaries over the years but not all of us were daft as brushes and not half as useful. I'm not saying I was so rare and marvellous I couldn't make a mistake...when I first started doing conveyancing type legal secretarial work when people spoke about an "A4" I thought they meant an A4 sized piece of paper when it was actually the old name for one of the gamut of legal forms involving conveyancing. I was doing a permanent job by then so I took the office's copy of "Practical Conveyancing" home with me on the Tube every night (it was a large tome) to familiarise myself with conveyancing procedures. I think there is still an up-to-date version of "Practical Conveyancing" in print though of course nowadays people can find guides regarding conveyancing on the Land Registry website. Laugh out loud. Oh, I wasn't in a "special" branch, Paul. "Conveyancing" is this sense applies to land law in the UK at least, in the USA it is called "real estate" I think. As in the sense of a bus or train conveying a person literally from one place to another, the legal document transferring or conveyancing a piece of land (for example a dwelling house and its surrounding garden) from one owner to another used to be called a "conveyance". They were quite involved documents to type and I'm glad I came to law as a secretary in the days when most documents can be stored in computer format. Nowadays the document transferring the land is called a 'transfer' - the Land Registry form TR1 is probably the most common version in the UK but the name "conveyancing" has stuck to land law in the UK. If this has been mentioned upthread I apologise but isn't there some sort of a digging or burrowing apparatus called a "mole". My 60-something memory seems to recall a TV feature of people having the nose of a mechanical "mole" come out in their garden. They may have been above the line of the Channel Tunnel so it's going back at least to the construction of the tunnel so some decades ago. Sorry, Tim, if you read this I am not trying to derail the thread. I'm a bit discombobulated this morning because I've been trying to do some very Heath Robinson* temporary repairs to a broken window. *You probably all know but William Heath Robinson was a cartoonist who drew complicated machines to do very simple tasks. Funny, but the term "Heath Robinson" has come to be synonymous with rickety DIY or repairs. ... concerning the Bear, I have never been to Alaska let alone on Alaskan pipelines but a bear could only sleep in a pipe if it was open and empty and one wonders what then would happen to the pipeline product. Yes indeed - I rather suspected that the original story was rather too good to be true. I rather suspected that the original story was rather too good to be true. Or maybe not. In the story you mention a 'diversionary gate'. By definition this would normally be empty and dry. Such a service pipe would also, perhaps, be long enough to provide a bear with sufficient space to consider hibernating in it. After the war Wojtek joined other Polish forces based in Scotland before quitting military service in 1947 and retiring to Edinburgh Zoo where he died in 1963. During the Second World War another Polish soldier in Scotland, engineer Jozef Kosacki, had invented the portable mine detector (which would become indispensable on D-Day) while other Scottish-based Polish soldiers had manned Britain’s armoured trains. These provided defensive cover particularly along the east and south coasts when a German invasion had seemed imminent. Even the miniature Romney, Hythe and Dymchurch Railway had been converted to armour. This would prove to be unwittingly prescient because that line, of course, later played a significant role during the building of PLUTO. Britain meanwhile undertook yet another round of measures to try and reduce fuel consumption. A campaign was launched from January 1942 to reduce fuel used for retail deliveries; the slogan was ‘Carry Your Shopping Home’. From 1st March all issues of fuel to goods vehicle operators were linked to specific tasks and it was then illegal to use that vehicle for any other task. The well-known composer and singer Ivor Novello was sent to prison for four weeks for using petrol not for the purpose intended. The relationship between the public concern over the fuel situation and the loss of tankers to U-boats is perhaps best illustrated in the controversial drawing by the cartoonist Zec. This appeared in the 6th March 1942 edition of the Daily Mirror, it was intended to be an attack on profiteering and illustrate how wasting fuel could have grave consequences in terms of lives lost. However, many in the government, including the Prime Minister, were infuriated considering it to be suggesting the petrol companies were profiteering at the expense of British lives. The 1943 film The San Demetrio tells the story of a tanker struggling to deliver its fuel to Britain during the Battle of the Atlantic. Having finally reached port safely the captain commented “That ought to be enough to take quite a few race-goers to Newmarket.” Three men from Burton on Trent were to be fined £1200 for hiring a taxi to attend the races, although not at Newmarket but at Doncaster. During the summer of 1942 there were further cut backs in bus and coach services. In anticipation of the ending of the basic petrol ration for private motor cars, it was cut and there was a media campaign against its continuation. It was declared in one newspaper that ‘The further restriction on the private use of petrol will be warmly welcomed by public opinion’. Finally, on 1st July 1942, the basic ration for private motor vehicles ended. Some people were able to claim a ‘domestic allowance’ if they lived in rural areas for activities such as attending a hospital, shopping, taking children to school or even for attending church. However, only around 40,000 vehicles qualified for the ‘domestic allowance’ and the ending of the ‘basic ration’ reduced consumption by 180,000 tons a year, more than had been expected. Following the ending of the basic ration, police would regularly raid race meetings to quiz drivers as to how they had acquired the petrol they had used to attend the meetings. Overall, private petrol consumption was cut from 823,000 tons in 1940 to 301,000 tons in 1943. Another cost saving measure undertaken was the reuse of waste lubricating oil, although its effects was nowhere near the public perception of what it would achieve. Supplies of heating oils for buildings not directly aiding the war effort were cut, as were supplies of paraffin to dealers. In certain areas it was just not possible to cut civil use, for example the amount of land used for growing crops had increased from thirteen million acres in 1938 to eighteen million. As a result the number of tractors had also increased from 53,000 to 120,000 and ninety percent of them used paraffin as a fuel. However, it was also clear that farmers, in order to save on petrol, were using their tractors for activities for which they would normally have used petrol driven vehicles. A campaign was undertaken to try and reduce paraffin consumption by tractors by ten percent. However, it was not enough just to cut civil usage for military requirements were increasing. The Times 13 March 1942.